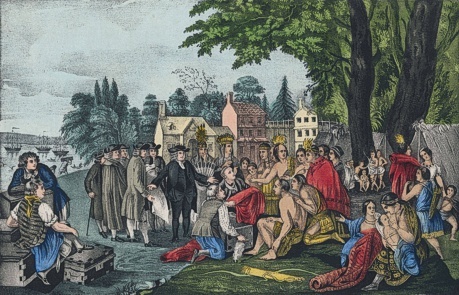 The first people to populate this area were the Minsi Delaware Indians, also called the Lenni Lenape Indians. The region that comprises North Whitehall Township was used as their hunting, fishing, and camping grounds. In the early 1700's, settlers, predominantly German, began clearing the land, raising crops and establishing villages. Thanks to the presence of fertile land, Coplay Creek proved particularly attractive to the early settlers. Chief Kolapechka was friendly with the settlers and often served as an interpreter. The name Coplay is derived from his name. 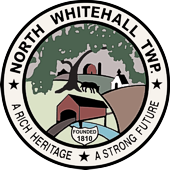 On March 20, 1753, Whitehall Township was formed from part of Northampton County, which had been deeded to the sons of William Penn. In 1810, Whitehall Township was divided into North Whitehall Township and South Whitehall Township. The early villages usually began with the construction of a gristmill, saw mill, or a building which served as a hotel, a store and a post office. In time, other buildings and homes were established. The Villages of North Whitehall were Ballietsville (the oldest), Ironton, Laury's Station, Neffs, Orefield, Ormrod, Rockdale, Ruchsville, Siegersville, and Schnecksville. The Township is situated at the northeast edge of Lehigh County. Three other rural townships - Washington, Heidelberg, and Lowhill border North Whitehall to the northwest and west. North Whitehall Township as it remains today encompasses 125+ miles of Township roads and acres and acres of homes, rolling farmland, and beautiful recreational areas. We hope to continue to experience growth that will keep the tax-base strong while maintaining green space and allowing the Township to offer a variety of services to its residents. Throughout its rich history, North Whitehall Township has proven to be an economically strong community and a desirable place to live. For more historical information please see the brochures below.